Settle in for your ride down The River Styx. 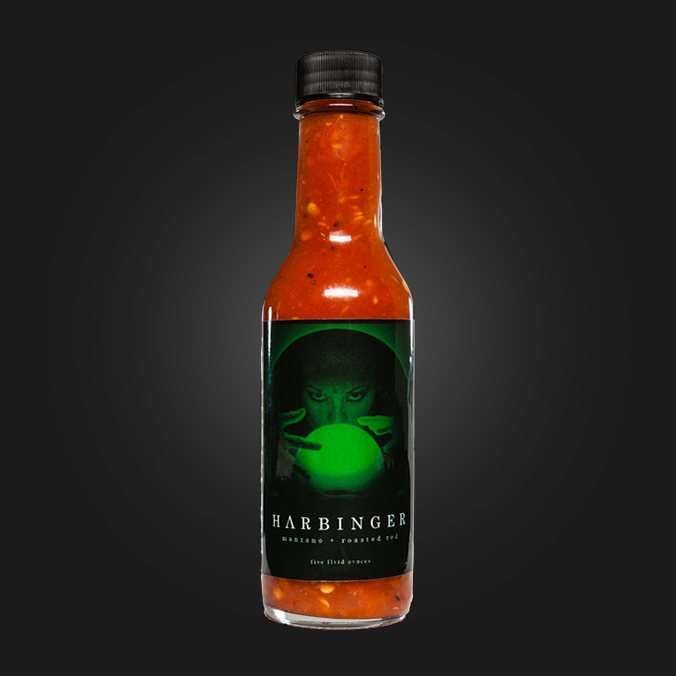 Our all-orange habañero sauce packs a lasting burn that moves at the slow, lingering pace you would expect of a river of fire. Balanced with orange bell peppers and carrots, Perdition will leave you perpetually craving more. If an omen is a warning of things to come, this jalapeño garlic sauce serves as a delicious signal of approaching spice. Based off of a traditional salsa verde, this blend of fresh jalapeños and robust cloves of garlic add a rich flavor, with just the right amount of heat, to your meal. This savory and smoky roasted red pepper sauce features the Mexican manzano pepper, known for its distinctive black seeds. Falling between the jalapeño and the habanero pepper on the Scoville Heat Scale, the manzano is truly a harbinger of the spice that lies ahead.